Register below to attend this next seminar or click here so see our full list of ThetaHealing® seminars. 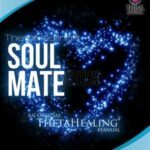 “ThetaHealing Soul Mate Day is a great 1 Day Introductory Course to ThetaHealing.” It will explain what ThetaHealing is and allow you to experience some of the digging and belief work used in ThetaHealing to help clear blocks around finding your most compatible soul mate. Any and every one looking for love is infatuated with finding their soul mate or at least the idea that there is someone out there that will ultimately love them for who they truly are! The one special person to spend their lives with and share their inner most desires, dream and goals. Someone who will see them at their darkest hour and still stand by their side with love, understanding and compassion! First and most importantly this soul mate seminar will uncover and give you back your inner confidence too love yourself and desire to have a healthy self-esteem. Which most importantly will attract and bring forth a companion that is compatible too all of your values and qualities! 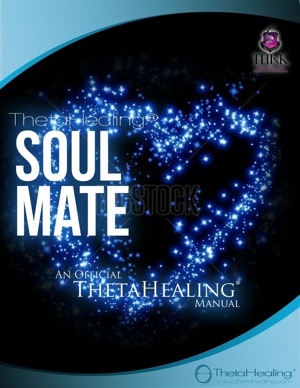 Before you know it, your soul mate will find you, without you having to go looking for it! That is how powerful this technique can be! You just work on yourself and manifest what you desire! Knowing that what you ask for, you will almost always receive! Then watch as the universe does the rest, unfolding your will through its hands. We all think we know what would make us happy but without being comfortable in our own skin or having true love for ourselves we will not find what we are truly looking for or fill that void of loneliness or love in our lives. If we are happy and healthy we will attract the same energy to us and that is when we will ultimately find our soul mates and divine connection to what we are all looking for. $250+tx total includes book, certification and seminar manual. Payment must be made before the start of the seminar. The payment is non-refundable. If you miss the seminar you will be able to apply your payment to any other seminar.